SEASON 3: THE VENGEFUL GLADIATOR! 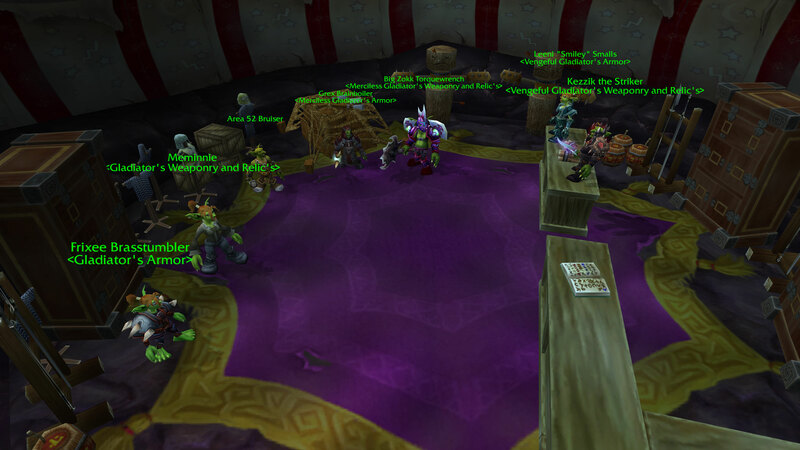 Titles and mounts will be distributed on PrimalWoW and TrueWoW. (Season 1) Gladiator's Set items are now being sold by Frixee Brasstumbler in Area 52 for reduced costs. (Season 1) Gladiator's Weapons and Relics are now being sold by Meminnie in Area 52 for reduced costs. (Season 2) Merciless Gladiator's Set items are now being sold by Grex Brainboiler at Area 52 for reduced costs. (Season 2) Merciless Gladiator's Weapons and Relics are now being sold by Big Zokk Torquewrench at area 52 for Reduced costs. 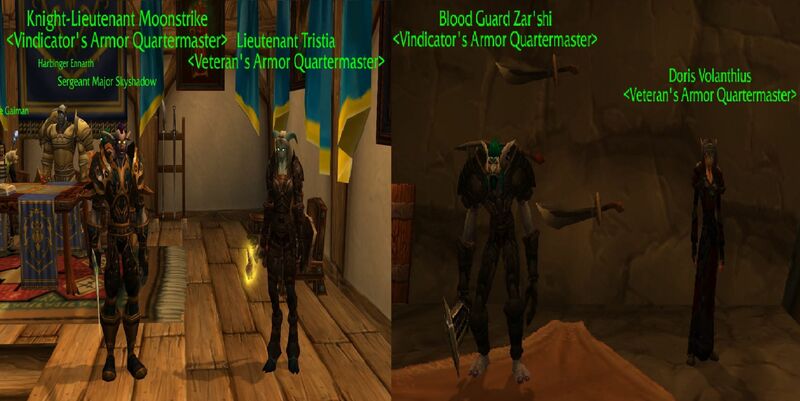 (Season 2) Veteran's None set items are now being sold by Lieutenant Tristia in Stormwind for Alliance and Doris Volanthius in Orgrimmar for Horde, Also at reduced costs. (Season 3) Vengeful Gladiator's Set items are now being sold by Leeni "Smiley" Smalls at Area 52. (Season 3) Vengeful Gladiator's Weapons and Relics are now being sold by Kezzik the Striker at Area 52. (Season 3) Vindicator's None set items are now being sold by Knight-Lieutenant Moonstrike in Stormwind for Alliance and Blood Guard Zar'shi in Orgrimmar for Horde. If you have any questions about the Season 3 release, feel free to reply to this announcement or PM natnat. All of this is coming Tomorrow! Be ready! Thanks I've been waiting way too long.